Gypsy is based upon the successful Broadway musical that was directed and choreographed by the brilliant Jerome Robbins (West Side Story), and as a film it takes some of the same strides that were taken in making the Broadway version. 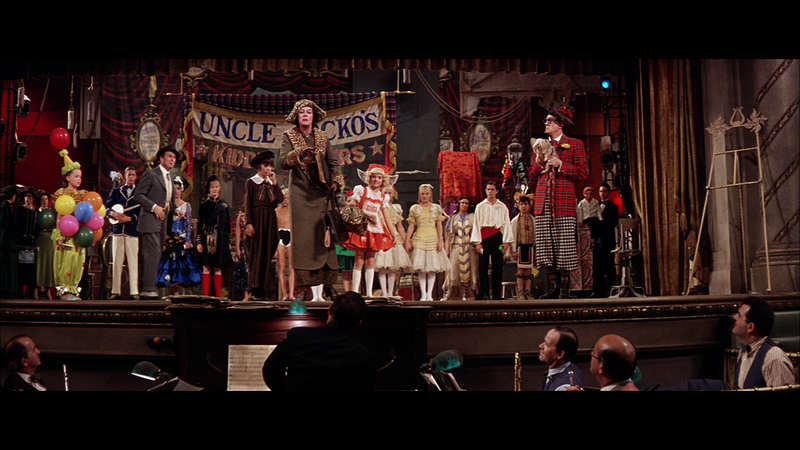 In staying true to the Broadway roots, this cinematic version creates another success; one of the most compelling musicals released in cinemas throughout the entire 1960's. 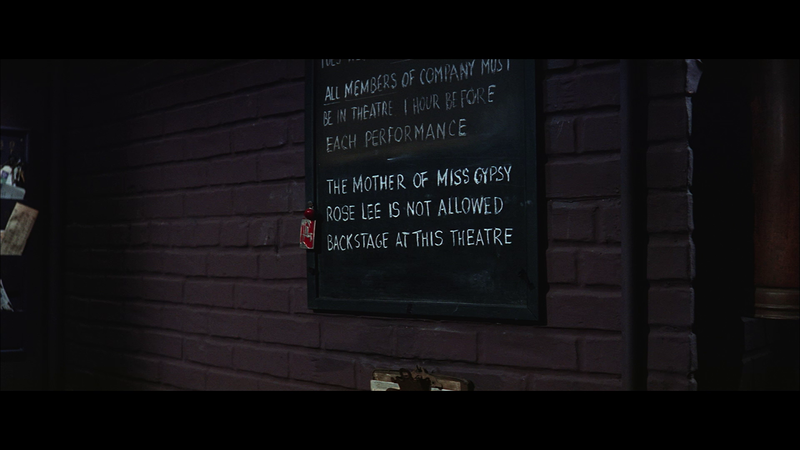 The musical (in both play and film form) is partly a dramatization based upon the real-life memoir of strip-tease performer Gypsy Rose Lee. The story focuses on Rose Hovick (Rosalind Russell); a mother who is determined to find the success she never had in her life for her daughters. She trains and manages her daughters in working vaudeville tours. The path to success seems to be working for them for a while. It doesn't last forever, of course. The kid-friendly and sweetly-natured shows put on by her two children and some boys who became recruited for these performances become significantly less fashionable, and as they became older it became more difficult to get stage-presence approval for childish roles in vaudeville in the first place. Things began to crumble apart in the show-biz world that the characters lived and breathed. Rose was always determined to have the stage success last, however, and is not willing to forfeit her quest to find fame for her daughters. Her younger daughter June leaves the family behind and marries one of the older boys who performed in the vaudeville shows with her, and she leaves only one single note to express feelings of sadness and love to her mother Rose. 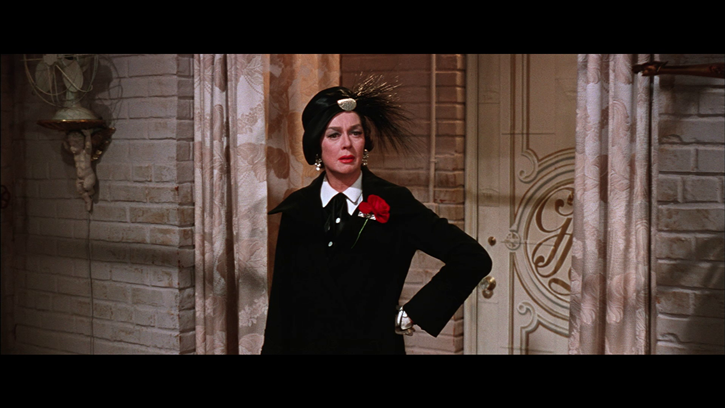 She wanted to branch out and leave all of Rose's managed vaudeville acts behind and become a "real" actress. Rose is heartbroken. Rose doesn't give up on the vaudeville act. 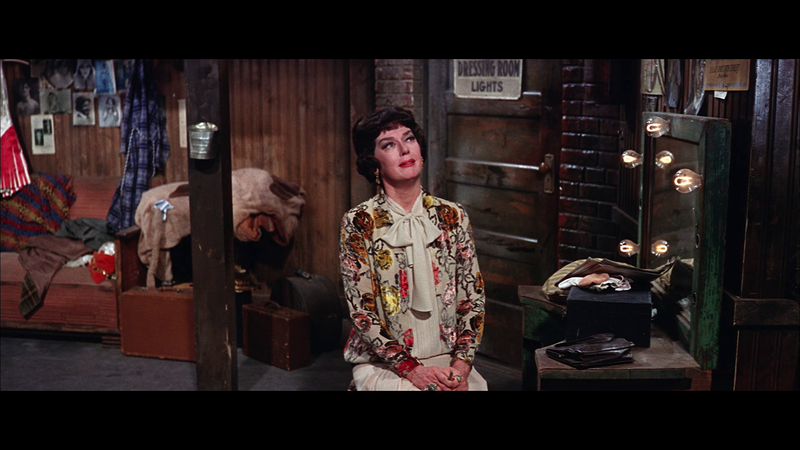 She still has the help of her partner Herbie (Karl Malden), whom she still hopes to marry one day. She also has her older daughter to turn to. 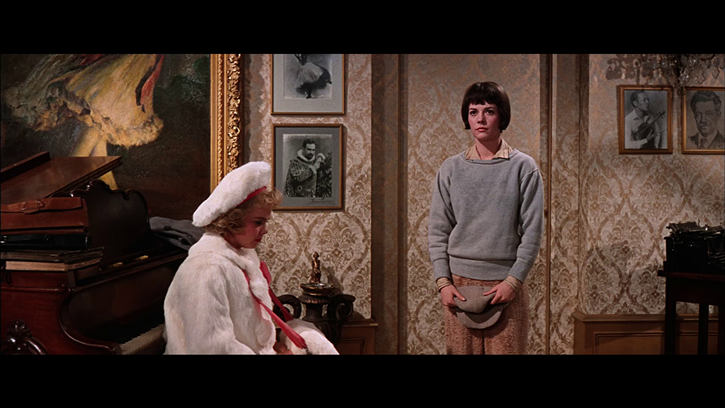 Rose's daughter Louise (Natalie Wood) can carry the show on and make the "dream" stay. The dream is fallen. Only Rose wants for the act to continue on and both Louise and Herbie seem to want a normal life outside of performance arts. Herbie has a candy business that has better odds of continuing as far as being a financial success for the three of them, and mainly because vaudeville is no longer the popular act it once was for them to carry on. Yet Rose is determined to not let things end this way. It isn't long before almost no options are left. Louise becomes the star of a "Hollywood Blondes" show Rose thought up and that is supposed to be a lighthearted show but it turns out that the last place they could find to hire them was a burlesque. Rose initially rejects the prospect of any of them being there and wants them to imminently leave. Herbie agrees. Yet Louise decides that there are few options left for them to earn some money and she agrees to stay. 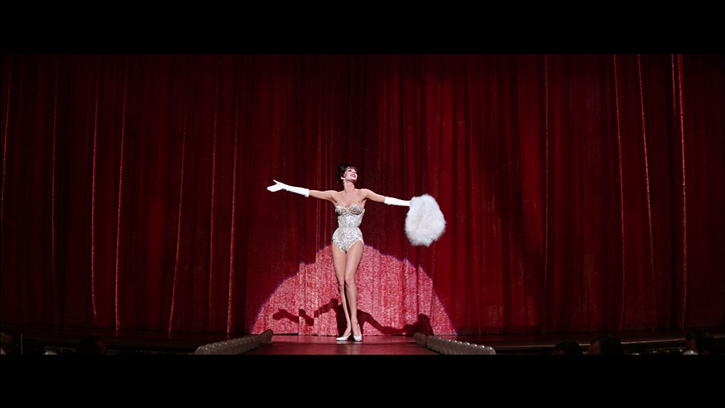 They perform with the burlesque and eventually Louise becomes "Gypsy Rose Lee", a star of strip-tease. The film offers a complicated and fascinating glimpse into what a relationship can be between mother and daughter. It's a complex relationship that Rose and Louise have. On the one hand, Rose clearly wanted success and fame for herself and as a part of her life-story. However, she clearly also wanted great things for her children. Rose wanted them to succeed and to find an impressive life that Rose felt she never had. Delving further, one might say the events are the result of Rose feeling as though she never had the care or attention of her own mother and it really boils down to her wanting to be there for her children in a way she may have felt was missing from her own relationship with her mother. The irony is that she ultimately begins distancing herself from her daughters and from understanding and recognizing true needs. 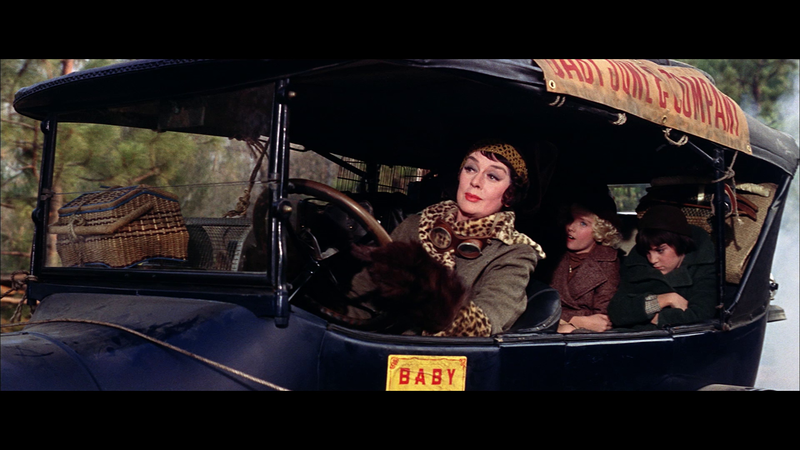 Characterizations in Gypsy are absolutely authentic and touch on real human issues with magnificent gusto but the setting and flow of the story is traditional Hollywood fare. 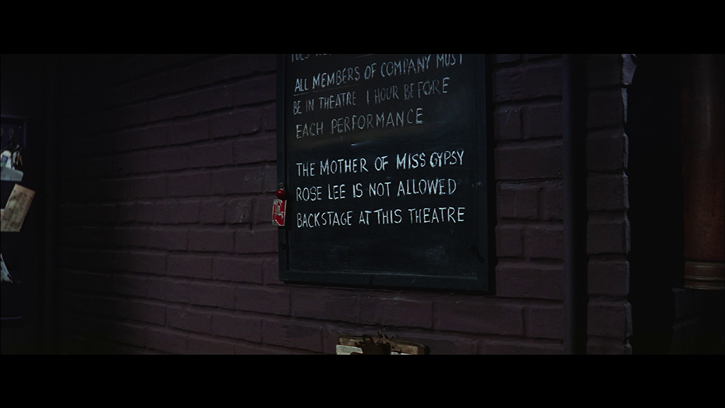 The dramatization of this story isn't really concerned, or so it seems, with focusing on telling audiences Gypsy Rose Lee's story in a way that is fully authentic. Instead, the film plays somewhat similar to one of its key songs by saying "Let Me Entertain You!" C'est la vie. 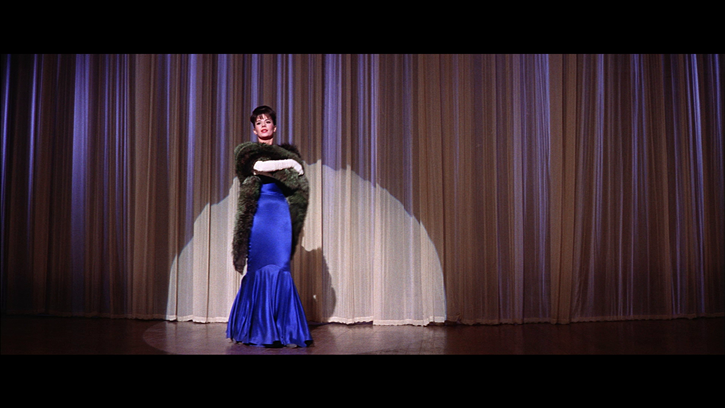 Broadway found a huge success with Gypsy, and the film version by Mervyn LeRoy was certainly no slouch either in terms of acclaim and memorability. 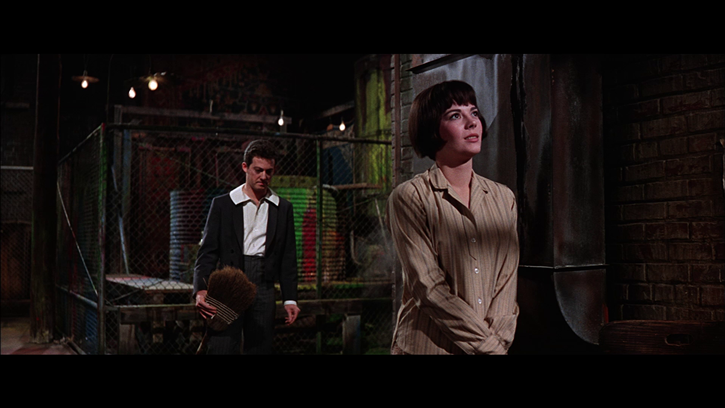 The music for the film is undeniably great, and the lyrics by Stephen Sondheim (who also worked with the original choreographer Jerome Robbins on West Side Story) are some of the best in his career and somehow they manage to remain just a glimpse of the perfection in West Side Story. This ultimately served as a triumphant signal of what would come from the famed lyricist. It's amazing to see how much talent was on display in this classic musical. So much talent is displayed in this film's creation. 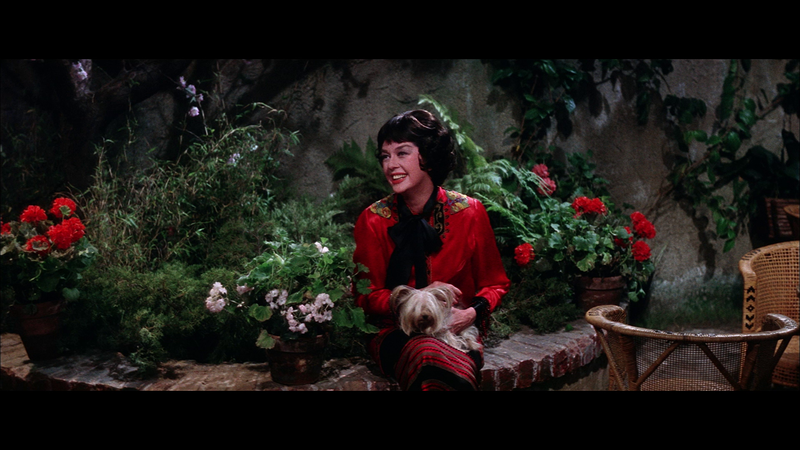 I was a bit let-down by noticing some out-of-synch dubbing on the singing (which was how Gypsy was ultimately made and has always looked). It's something you can find with many musicals. Some parts of the performances were dubbed over by different singers. This was especially noticeable during some scenes with Rosalind Russell. However, her undeniably significant performance still shines through and ultimately steals the show. As beautiful, talented, and charming as Natalie Wood is it is most certainly Russell who makes this a genuinely classic musical that focuses on the ups and downs of attempting to find truly "glamorous" success in show business and the sad illusion of the quest for fame as any meaningful thing at the end of the day. Filmed with the effort needed to stay true to Jerome Robbins vision while allowing for a new version to flourish from the director of the film (Mervyn LeRoy), Gypsy remains a satisfying blend of the highly theatrical and the cinematic wonderment found in musicals. The film has some elements that truly stand out as genuinely terrific from start to finish: the performances from all three leads are exceptional, of course, and the staging by the director feels like it's a blend between the cinematic and theatrical. I sometimes find that works best for the movies. Gypsy might not be a perfect film, but the film is beautifully shot, features excellent music, and contains an assortment of quality performances. The story that is told remains both compelling and character driven to the point where any qualms with the film don't over-shine how good everything ultimately remains as a classic example of a well-done Hollywood musical. It's glamorous and entertaining. 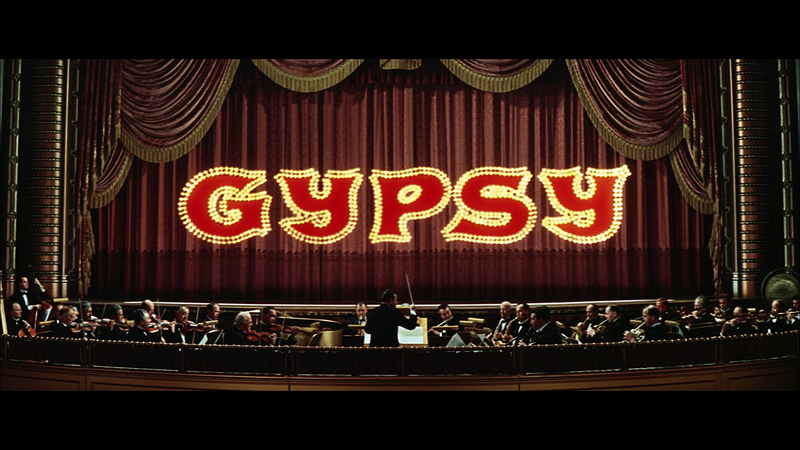 Gypsy looks remarkable in 1080p High Definition. The 2.40:1 transfer preserves the original theatrical aspect ratio. The film was released with beautiful 35mm prints and this transfer is undoubtedly the best that Gypsy has looked since its original release in theaters. Colors pop everywhere in this transfer. The print is clean and almost entirely free of any distractions. I wasn't expecting perfection from this transfer, but what I found was almost exactly that. It absolutely seems to be one of the best transfers of the entire 2012 year for any classic film release on the Blu-ray format. The DTS-HD Master Audio 2.0 track sounds much better than I expected it to, but it isn't a total winner or an example of perfection. It absolutely works wonders with the beautiful transfer, but there are some downsides. The dialogue is not as loud as the score music and as a whole this is definitely a sound mix that shows some age and is less refined in terms of the technology used today. The sound materials could have probably used a good overhaul. 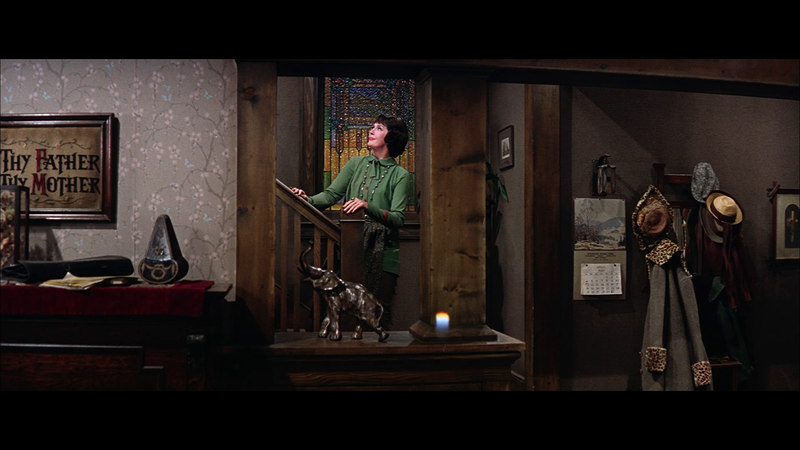 However, the film still sounds good on Blu-ray and it certainly sounds like a lossless mix. It just sounds as though it wasn't mixed to perfection. 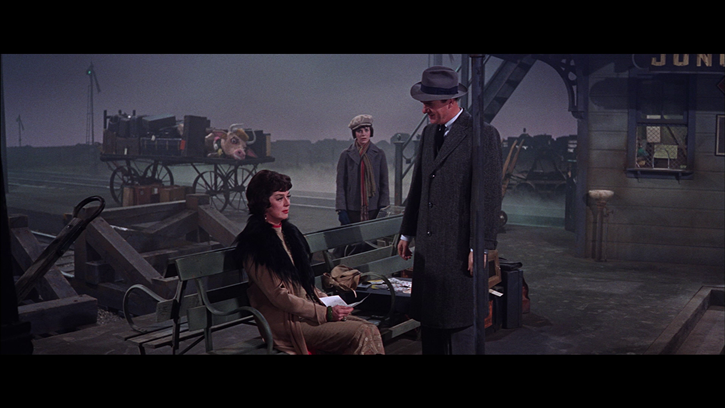 The only extras on the disc are two musical numbers that clearly became deleted scenes: You'll Never Get Away from Me is presented in an expanded version of the original scene (as a duet between Rose and Herbie) and Together Wherever We Go is a sequence lost in the final cut. These sequences are not presented in High Definition, despite the encoding suggesting that. The original theatrical trailer is also included. That's everything there is for supplements. This is one of the first Warner Archive Collection Blu-ray releases and if it's any indication of what film fans can expect the quality of these releases to be like going forward, everyone who considers themselves a film fan is in for a real treat with these presentations. The transfer is stunning to behold and the audio quality is good overall. Fans of Gypsy looking for the best way to own this musical will be thrilled with the significant upgrade. The Warner Archive Collection may turn out to be an essential line-up to look forward to over the next year. This is an exciting turn of events for fans of the many great films that are currently unavailable from Warner Bros. on Blu-ray.